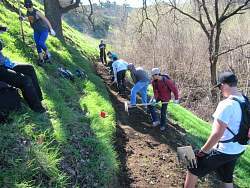 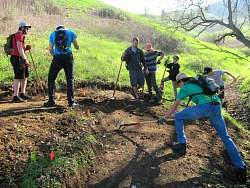 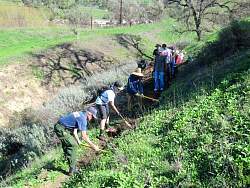 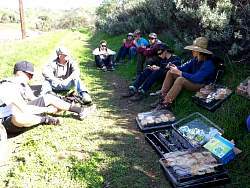 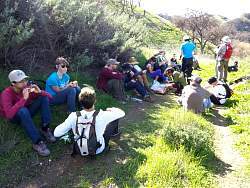 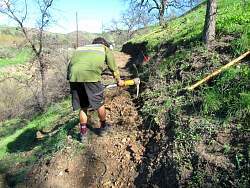 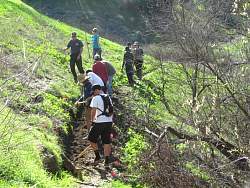 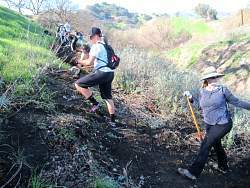 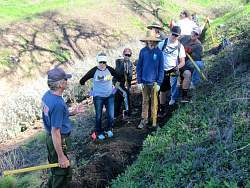 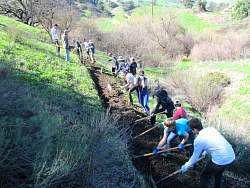 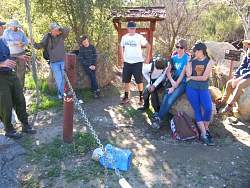 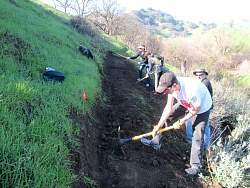 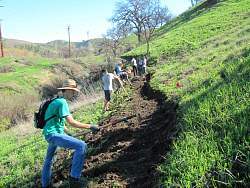 Mtn bike team members, coaches and parents from Calabasas and Simi Valley work on a new trail to bypass the swamp. 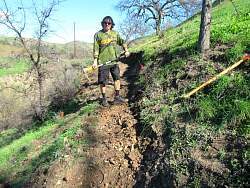 Pat from the MRCA, who's land we're on, explains how firefighters build a trail, using the 'caterpillar' method. 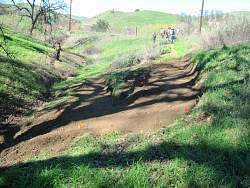 It's Steve Messer, president of CORBA, who joined us after an early appointment with the new Mountain Bike Unit class at King Gillette Ranch. 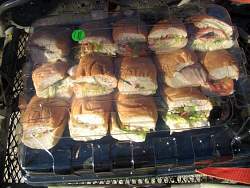 Waiting for parents to pick them up at the end of the work day.